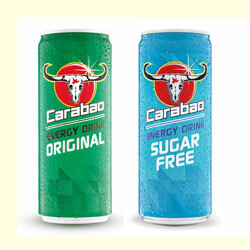 We are UK’s leading energy drinks wholesale supplier, supplying over 3500 clients inside London and loads of other clients around UK with quality energy drinks. We supply all kind of energy drinks to a wide range of facilities including shops, hotels, restaurants, cafes and many other facilities. We have wide range of wholesale energy drinks products ready to be delivered to you. Redbull Energy Drink - 24 x 250ml Product DescriptionClassic energy drink with caff..
Redbull Sugar Free Energy Drink - 24 x 250ml Product DescriptionClassic energ..
Tenzing Natural Energy - 24 x 250ml Product DescriptionTENZING NATURAL E..